India is the largest provider of generic drugs globally. Indian pharmaceutical sector industry supplies over 50 per cent of global demand for various vaccines, 40 per cent of generic demand in the US and 25 per cent of all medicine in UK. India enjoys an important position in the global pharmaceuticals sector. Presently over 80 per cent of the antiretroviral drugs used globally to combat AIDS (Acquired Immuno Deficiency Syndrome) are supplied by Indian pharmaceutical firms. Pharmacy education in India traditionally has been industry and product oriented. In contrast to the situation in developed nations, graduate pharmacists prefer placements in the pharmaceutical industry. To practice as a pharmacist in India, one needs at least a diploma in pharmacy. A variety of pharmacy programs are offered in India: Diploma in Pharmacy (D. Pharm), Bachelor of Pharmacy (B. Pharm), Master of Pharmacy (M. Pharm), Master of Science in Pharmacy [MS(Pharm)] and Master of Technology in Pharmacy [MTech (Pharm)], doctor of pharmacy (PharmD), and doctor of philosophy in pharmacy (PhD). The KC College of Pharmacy Nawanshahr offers Diploma (D. Pharmacy) & Degree level (B. Pharmacy) Courses in Pharmacy. 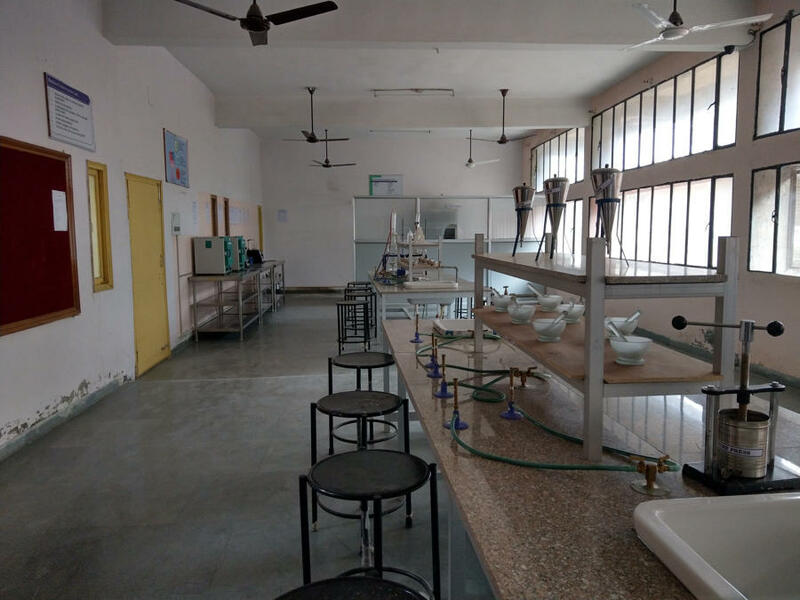 The D. Pharmacy Course is affiliated with the Punjab State Board of Technical Education Chandigarh, whereas B. Pharmacy Course of Four Year duration is affiliated with the IKG Punjab Technical University Jalandhar. The College is duly approved by the Pharmacy Council of India (PCI) and All India Council for Technical Education (AICTE) New Delhi with sanctioned intake of 60 students in each course. The entry point for D. Pharm and B. Pharm programs is 12 years of formal education in the sciences. The D. Pharm program requires a minimum of 2 years of didactic coursework followed by 500 hours of required practical training anticipated to be completed within 3 months in either a hospital or community setting. The B. Pharm course involves 4 years of study. The infrastructure of the College is completely as per has AICTE & PCI norms. It is my proud privilege being the founder Principal of the KC College of Pharmacy. We endeavour to provide quality education to our students.